1. Bedworth United Football Club Limited is committed to protecting your privacy and maintaining the security of any personal information received from you. 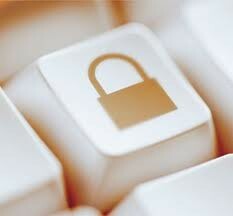 We strictly adhere to the requirements of the data protection legislation in the UK. The purpose of this statement is to explain to you what personal information we collect and how we may use it. 3. We use your personal information to update you about new products/services. We will only contact you with your consent. 5. We follow strict security procedures in the storage and disclosure of information which you have given us, to prevent unauthorised access in accordance with the UK data protection legislation. We do not collect sensitive information about you except when you specifically knowingly provide it. In order to maintain the accuracy of our database, you can check, update or remove your personal details by contacting us atsecretary@bedworthunited.co.uk. We use a technology called "cookies" as part of a normal business procedure to track patterns of behaviour of visitors to our site. A cookie is an element of data that our Website sends to your browser which is then stored on your system. You can set your browser to prevent this happening. Any information collected in this way can be used to identify you unless you change your browser settings.